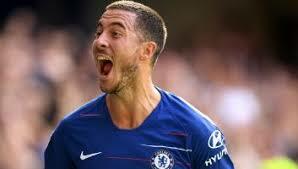 Hazard the Belgian midfielder who scored hat-trick against Cardiff in Chelsea's 4:1 win against Cardiff in Stamford Bridge on Saturday impressed Sarri and the fans which lead Sarri to think that if he continues like this he will become the Europe's best player in two years. "I thought he was one of the best in Europe, But now I am changing my mind as maybe now he is the best in Europe". Cardiff City lead with one nil in the 16th minute after Sol Bamba turned in Sean Morrison's flick from a free kick the suspense was lifted in the 37th minute as Hazard scored the equalising goal and proceeded to score the leading goal of the blues in the 44th minutes making it 2:1 in the first half. Hazard scored his third goal with a penalty kick in the 80th minute after Bamba fouled Willian while Willian sealed it in the 83rd minute. Sarri said "We did not play very well in the first 15th minute, we know they are very dangerous from set pieces, with long balls, but we played more better towards the end of first half and the second half". Sarri is happy with his team's performance as they have played unbeaten in there past five matches but he believes that they still need improvement. Sarri Said "I am very happy with my players but I always think we can do better. We are dangerously going forward but not as defensive as I want, I think we can improve quickly though. Chelsea will meet West Ham on Sunday 23rd of September to continue their premier league campaign.